Want to reduce your stress, improve your fitness, and enhance your overall wellbeing? 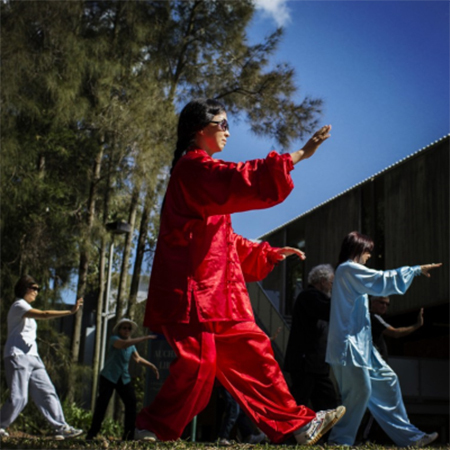 The slow controlled movements of Tai Chi will invigorate your body and soul. We have a range of courses to suit beginners and intermediate learners. We advise that the information you provide is collected by The University of Newcastle (UON) and its contracted service providers and may be used to make you aware of future University events and opportunities. UON and its contracted service providers may use your personal information to invite you to participate in surveys or markets research activities. UON abides by the GDPR Privacy Guidelines and the Privacy and Personal Information protection Act 1998 (NSW), under which you have the right to access your personal information held by UON. UON’s Web Privacy Statement, Privacy Management Plan and Privacy and Information Access Policy provide further detail.